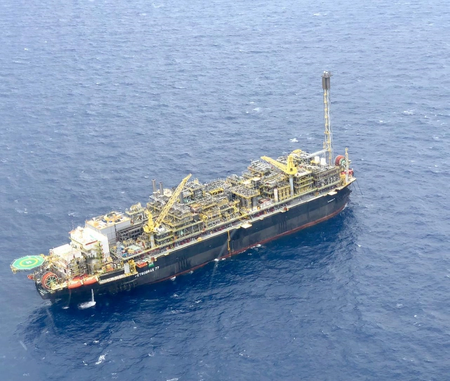 Brazil's state-run oil company Petroleo Brasileiro SA said on Tuesday it had started production at its P-77 platform, its fourth platform to enter operations in the Buzios field within the pre-salt region of Bacia de Santos. Petrobras, as the company is known, had said the platform would commence production in the first half of 2019. In a securities filing, Petrobras said the platform can produce 150,000 barrels of oil and up to 6 million cubic meters of natural gas a day.